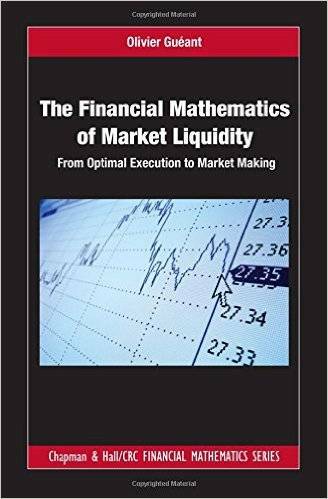 This book is among the first to present the mathematical models most commonly used to solve optimal execution problems and market making problems in finance. 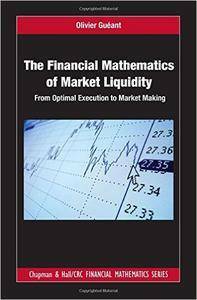 The Financial Mathematics of Market Liquidity: From Optimal Execution to Market Making presents a general modeling framework for optimal execution problems–inspired from the Almgren-Chriss approach–and then demonstrates the use of that framework across a wide range of areas. The book introduces the classical tools of optimal execution and market making, along with their practical use. It also demonstrates how the tools used in the optimal execution literature can be used to solve classical and new issues where accounting for liquidity is important. In particular, it presents cutting-edge research on the pricing of block trades, the pricing and hedging of options when liquidity matters, and the management of complex share buy-back contracts. What sets this book apart from others is that it focuses on specific topics that are rarely, or only briefly, tackled in books dealing with market microstructure. It goes far beyond existing books in terms of mathematical modeling–bridging the gap between optimal execution and other fields of Quantitative Finance. The book includes two appendices dedicated to the mathematical notions used throughout the book. Appendix A recalls classical concepts of mathematical economics. Appendix B recalls classical tools of convex analysis and optimization, along with central ideas and results of the calculus of variations. This self-contained book is accessible to anyone with a minimal background in mathematical analysis, dynamic optimization, and stochastic calculus. Covering post-electronification financial markets and liquidity issues for pricing, this book is an ideal resource to help investment banks and asset managers optimize trading strategies and improve overall risk management.